We are located in Columbus on the Southside of East Livingston Avenue between Hamilton Rd. and James Rd. We are proud to serve our community. Residents of Columbus lead busy lives, tending to take their feet for granted until walking with a sore foot becomes a problem. Going to work, running errands or even getting around the house can become challenging. The human foot is an amazing and complicated structure and normally does its job very well. However, when every step is painful, it’s time to visit the foot doctor. There’s no age restriction on visiting your Columbus podiatrist. Anyone, from a young child to a great-grandparent, can find themselves needing the services of a podiatrist. A doctor of podiatric medicine (DPM) or a podiatrist is trained to diagnose and treat issues relating to the foot, ankle and certain leg structures. At Gentle Foot Care, the board certified/qualified physicians provide conservative treatments whenever possible and surgical treatments when the patient and doctor agree that this is best. 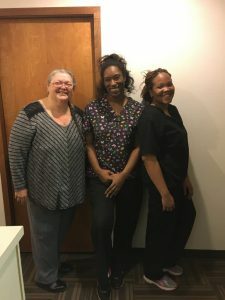 A podiatrist or DPM has completed seven years of training including four years in a podiatric medical school and three years training as a resident in a hospital. A board certified podiatrist has received advanced training and clinical experience and passed a rigorous examination. Our physicians are affiliated with both the American Podiatric Medical Association and the Ohio Podiatric Medical Association. People visit a podiatrist for help with a wide range of foot issues. The latest technology is used to diagnose and treat foot and ankle ailments, including radiographs and diagnostic ultrasound equipment. Padnet testing is available in select offices to assist in diagnosing peripheral vascular disease. Pain is the body’s alarm system, telling you there’s a problem. Occasionally foot conditions clear up on their own, but more often that’s not the case. A visit to a podiatric office for a diagnosis of the root cause of the pain is the first step in removing the pain. A few of the many foot conditions that bring people to a foot doctor are shown below. Bunions are a painful and fairly common problem seen by podiatrists. A bunion is a painful, bony hump that forms at the joint at the base of the big toe. It can become swollen, painful or feel warm. A callus can also be involved since shoes rub on the area. Tight shoes or high heels aggravate the problem. It can be a mistake to wait for a child to outgrow a foot problem. Some problems are first noticed at birth or when the child begins to walk. Other foot or ankle problems develop in adolescence. It’s always best to have the child checked whenever a problem is suspected. Diabetics have to be very careful to inspect their feet daily and seek immediate podiatry treatment for a foot injury such as a small cut or break in the skin. Annual foot exams are recommended. Proactive treatment and wound care can be crucial in preventing a small problem from becoming dangerous. Neuropathy or burning, tingling or numbness in the feet can be a serious problem for diabetics, affecting balance and ability to walk. In the worst case, uncontrolled diabetes can result in foot or leg amputations. Controlling diabetes and being vigilant about foot care are critically important. Ingrown toenails hurt. The big toe becomes red and swollen where the nail is pushing into the skin. It’s not surprising that the foot can suffer from many uncomfortable and painful maladies. The foot is complex, containing one-quarter of the bones in the body, 33 joints and over 100 muscles, ligaments and tendons. When running, the foot absorbs three to four times the body’s weight at each step. Take care of your feet when something is wrong and they’ll continue to take care of you. The heel or calcaneus is the largest bone in the foot. It absorbs the impact when walking or running and is essential in propelling the body forward. The heel can be damaged in various ways or be affected by a systemic condition such as arthritis or an infection. The pain is often located under or behind the heel and may gradually worsen. It can be triggered by wearing a flat shoe. Changing to proper-fitting footwear, ice and rest may relieve the pain. Inflammation of the plantar fascia can be very painful. This is a ligament that extends from the heel bone to the end of the foot. If the plantar fasciitis stretches too far, it can become inflamed, usually at the heel. The pain may also occur elsewhere in the foot. A heel spur is a calcium deposit that causes a bony protrusion on the bottom of the heel bone. Many are painless, but some are very painful. When someone has plantar fasciitis, it is not unusual for them to also have a heel spur. Arthritis, especially osteoarthritis, often causes ankle pain. Since the up and down movement of walking is powered by the ankle, any inflammation or injury in this region makes getting around difficult. As every athlete knows, ice helps to reduce the swelling associated with a sprained ankle. Rest, compression and elevation are also helpful. For bad sprains, consult a podiatrist. Sprains can be mild or extremely painful. In a sprain, at least one ligament on the outside of the ankle has been stretched too far or torn. It takes time to heal. Without x-rays, it can be difficult to tell the difference between a sprain and a fracture or broken bone. It’s always best to consult a podiatrist for the correct diagnosis and treatment. Any break requires proper treatment. In a bad break, a podiatric surgeon may need to be correctly position bone fragments, holding them in place with metal plates and screws. These do not usually cause a problem for the patient. Whenever you or any family member are experiencing foot or ankle problems, contact an experienced podiatrist at Gentle Foot Care for the expert foot care you need. Columbus, Bexley, Canal Winchester, Dublin, Gahanna, Grandview Heights, Grove City, Groveport, Hilliard, New Albany, Pickerington, Reynoldsburg, Upper Arlington, Westerville, Whitehall, Worthington, Brice, Harrisburg, Lithopolis, Lockbourne, Marble Cliff, Minerva Park, Obetz, Riverlea, Urbancrest, Valleyview, Galloway, Blacklick and many more. 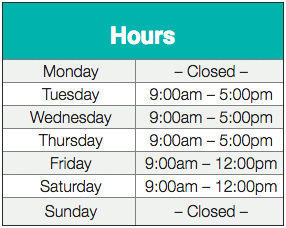 Visit the website 24/7 to schedule an appointment or call 1-866-290-9499.